Police suspect the two — a 53-year-old woman and a 25-year old man — were 'missionaries' who 'encouraged' John Chau to visit North Sentinel Island against his will. 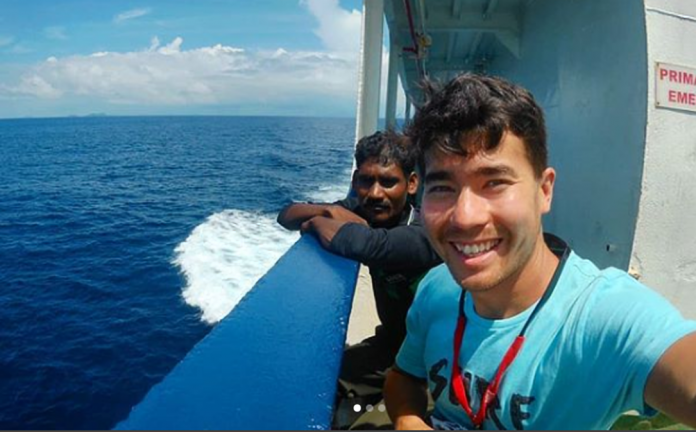 New Delhi: The Andaman and Nicobar Police have issued a Letters Rogatory (LR) to two American ‘missionaries’ who allegedly encouraged John Chau, the 26-year-old tourist, to visit the North Sentinel Island where he died. The development comes five months after Chau was allegedly killed by members of the Sentinelese tribe who inhabit the Andaman and Nicobar island. Outsiders are banned from going within five kilometres of the Indian Ocean island, a move meant to protect the tribe. An LR is a letter of request to orally examine any person supposed to be acquainted with the facts and circumstances of a case. This is done in a case where the evidence may be available in a specific country, the US in this case. Through the LR, the people in question can also be asked to produce any document or evidence that may be in their possession pertaining to the case and forward it to the court issuing the LR. According to the police, the two Americans — a 53-year-old woman from Tennessee and a 25-year-old man from Colorado — were ‘missionaries’ who encouraged Chau to visit the island against his will. Dependra Pathak, head of police in the Andaman and Nicobar Islands, told ThePrint that the two left India soon after. Investigators had traced the two through the calls detail records of Chau’s number. Police have so far registered two cases in the matter and have arrested seven people, including six fishermen who allegedly helped Chau get to the island. The seven have been arrested under sections of culpable homicide not amounting to murder. No arrest has been made in the case of murder. A source in the police also told ThePrint that the two Americans had allegedly sent more people to the island in the past, including Chau who police believe visited the Sentlinese in September. “Their role was to encourage the people to visit the island and we suspect that they may have done so in the past. We have inputs to suggest the same,” an officer said. “Also, it is important to take their statements so that they do not attempt such a thing in the future. Several attempts have been made by the police to spot and recover the body of the tourist but they have not succeeded. Police may now give up on their efforts amid calls from anthropologists and activists to not retrieve the body as it may further threaten the Sentinelese. “The investigation in the case is on but it seems impractical to make further attempts to exhume the body or make any arrests, as it will further threaten the tribe and will put the life of officers at risk,” an officer said on the condition of anonymity.